What has she accomplished again? She married the right guy. She danced on Ellen once. Does that count? Show some respect for her achievements losers. Coming from a poor family, she went to Princeton for undergrad, then Harvard Law. Then a successful lawyer. None of you low level tech workers will have a sense for what an accomplishment that is. Let alone being a mom and a wife. Because getting into schools with affirmative action is sooo hard. @NotIndian, You think that because I am sure you haven't seen the inside of a school like Princeton or Harvard Law. Pretty much everyone there is way smarter than you and all of them are more capable than you. Low probability of her being any different. Michelle had more luck than merit. She married the right guy that catapulted her, plain and simple for all to see. The Princeton and Harvard admissions are impressive but there are thousands of women in that category. The credit and fame and adulation and respect that Michelle's got is disproportionately higher than the merit of those achievements. This should be obvious to you unless you're a blinded feminist bigot. Besides, she also used the affirmative action quotas. Her opinion does echo many women who are exhausted trying to “lean in”. Not too difficult for Sandberg to have picture perfect Christmas card worthy family photograph when she has perfect support system on place. To ask a struggling techie to attend PTAs and aim to be CEO is little unfair. 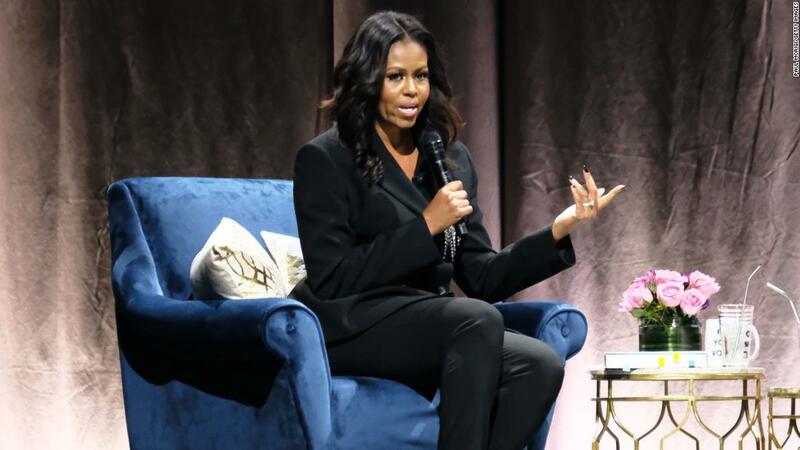 As far Michelle Obama is concerned, she was successful lawyer before being FLOTUS. “Struggling techie” ... show some respect to women who actually struggle with low , minimum wage jobs with no maternity leave or insurance ... while you wfh, enjoy full coverage and crib about your free food. Sandberg and Obama come from very different backgrounds people. It’s a fair criticism. Sandberg’s strategy won’t work for all. Conduit to political bribes said what? Barrack directs Gov funding to nonprofit, nonprofit makes Michelle VP and pays her $400,000 to do what?